Our 2018-2023 Science Agenda guides our science investments and activities. The Northwest Climate Adaptation Science Center (NW CASC) Science Agenda was developed through collaboration with regional resource managers and scientists, who worked with each other, and with NW CASC staff, to identify climate-sensitive management priorities and goals; relevant knowledge gaps; and strategies for filling those gaps. The resulting key science opportunities, described in the Agenda, will help direct NW CASC research funding and other activities through 2023. 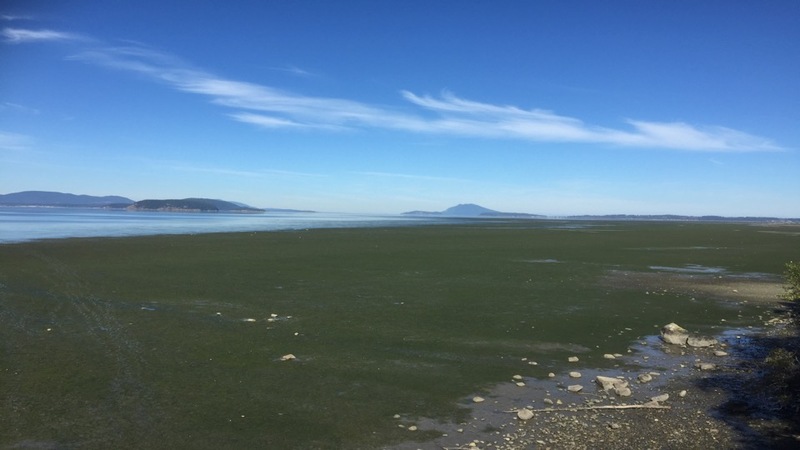 Former NW CASC Research Fellow Tyler Tran’s eelgrass meadow field site in Padilla Bay, Washington. Padilla Bay is home to the second largest eelgrass meadow on the pacific coast of North America.